Prices shown are by the dozen. For fewer than a dozen, add 50¢ per tie; add $1.00 per cummerbund. 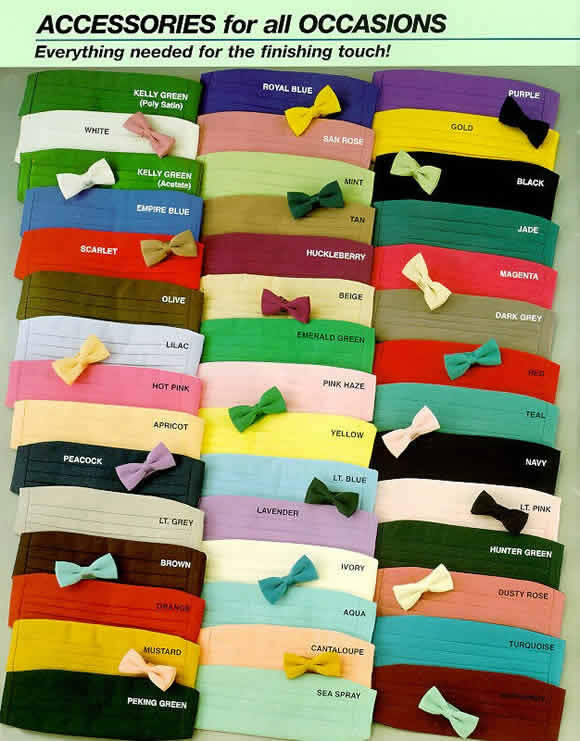 Contact us for metallic colors or custom made cummerbunds, suspenders, four-in-hand ties, bow ties and handkerchiefs. Minimum custom order, 60 sets.